School holidays are quite the operation. On one hand you want your children to have plenty of downtime. You know it’s good for their development to be bored from time to time, as this is where creativity shines. On the other hand, your children have had enough downtime and now they don’t know what to do with themselves except to argue, torment you and make a complete disaster of their bedrooms. That’s when you know it’s time to keep them busy, before you all go into a complete state of emergency. Museums aren’t the old, dusty places you imagined them to be. They’re full of interactive displays and jaw dropping exhibitions. The Australian Museum is the nation’s oldest museum, but it also contains one of the biggest collections and is located near Hyde Park. There’s also the Museum of Sydney to check out near Circular Quay. The weather might not be for swimming, so take your bikes and cycle along world-famous Bondi beach, taking in the crisp sea air and beautiful views. Relax at one of the many child-friendly cafes along the coast. There are plenty of areas to go to see animals big, small and native. Taronga Zoo has some great seal and bird shows and Manly Sea Life Sanctuary gives you the opportunity to see some penguins. If it’s starting to get a bit chilly, you can always escape indoors to a theatre show. The Sydney Opera House and other theatres host events for kids during the school holidays that are sure to make them smile and will also be a change from going to the cinemas. 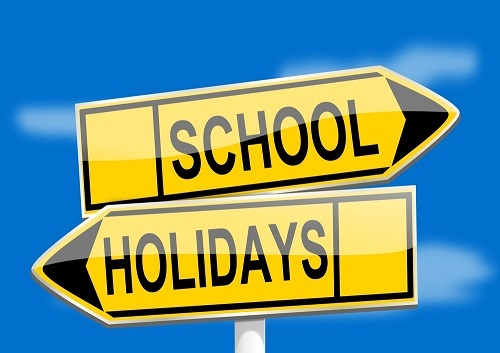 You shouldn’t feel guilty about needing a break during the school holidays. It can be mentally and physically draining. Leave your kids in excellent hands at the Play Cave’s Kids Vacation Care Program. For only $25 your children will get up to 3 hours of play, a private room and a kid’s meal and drink. You’ll get the priceless feeling of refreshment and be able to get an appointment or two out of the way – or at least a de-stressing massage! Do you want your children to get active and give you some time to yourself these holidays? Talk to The Rock @ The Play Cave today. We provide the perfect vacation care to suit your child’s needs. The meals provided are delicious and your children will be delighted by the place space on offer!